However, for cases where more complex navigation patterns are used, and where interactions are vastly different across screen sizes, this approach can be rather bloated, as unnecessary markup, styles and assets are downloaded for devices that don’t end up using them. Here, mobile-header.js loads the necessary script dependencies for the mobile header and navigation, and sets up another enquire block for initializing, showing and hiding. * The handlebars runtime is being used for faster render times. It requires that the desktop header template (referenced on line 22 above) be a pre-compiled handlebar template. It looks like this and can be auto-generated using grunt-contrib-handlebars. Finally, desktop-header.js loads the necessary script dependencies for the desktop header and navigation. Another enquire block is set up for fetching and rendering the template, and showing and hiding. The code examples above are heavily stripped down from the original implementation, and it’s also important to note that the RequireJS Optimizer was used to combine related scripts together into a few key modules (main, mobile and desktop), in order to keep http requests to a minimum. 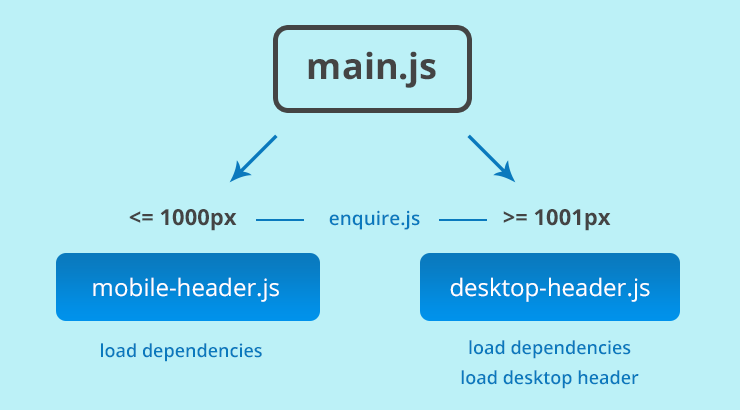 Which brings me to a downside: splitting the JS into small and large modules does add one extra http request as opposed to simply bundling ALL THE THINGS into one JS file. For your specific implementation, the bandwidth and memory savings would have to be weighed against the slight penalty of an extra http request. That penalty may or may not be worth it. There is also an ever so slight flash of the mobile header on desktop before it is replaced with the desktop header. 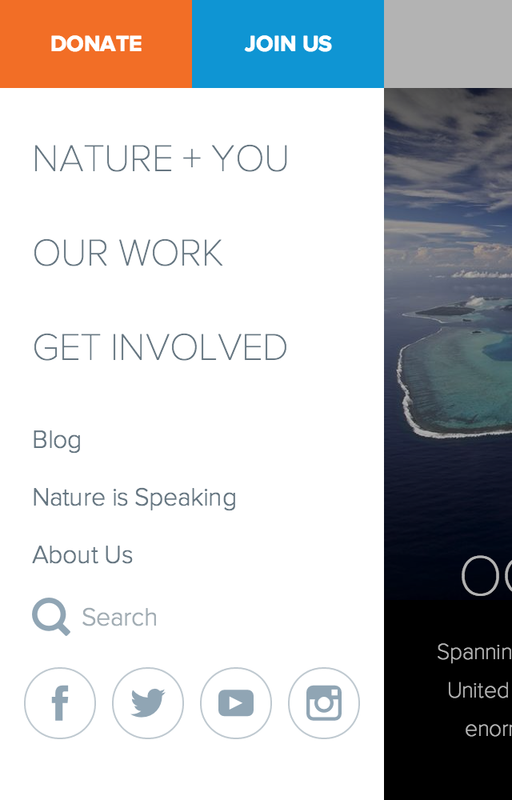 We mitigated this with css, by simply hiding the mobile header at the large breakpoint. Several ways this could be taken to the next level would be to modularize the styles required for rendering the mobile and desktop header and navigation, and bundle those within their respective modules. Another completely different approach for managing this type of complexity would be to implement a RESS solution with something like Detector. If you have any other clever ways of managing complexity in responsive navigation patterns, or any responsive components for that matter, let me know in the comments below.